A bespoke shoe is essentially the indicator that you have run out of ways to spend your money. That was usually because a bespoke generally cost several thousand dollars. There are many non-custom made shoes that run into the $1,000+ range. What does that tell you? That there is art, craftsmanship, and quality that take the concept of a bespoke shoe to a higher level. 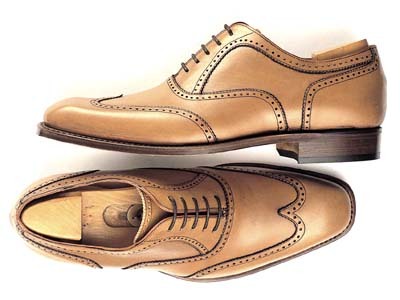 Michael Andrews Bespoke is hoping to take the bespoke range of shoes and bring it to the masses. Well, the masses that can spend six to eight hundred dollars on a pair of shoes. Right, this might be a little much for many and frankly, it is quite a lot of money for a pair of shoes. However, if you want to really put your money into something that will be the most comfortable and unique shoe you’ll ever own, this might be your way in. Check out “affordable” bespoke shoes by Michael Andrews here.